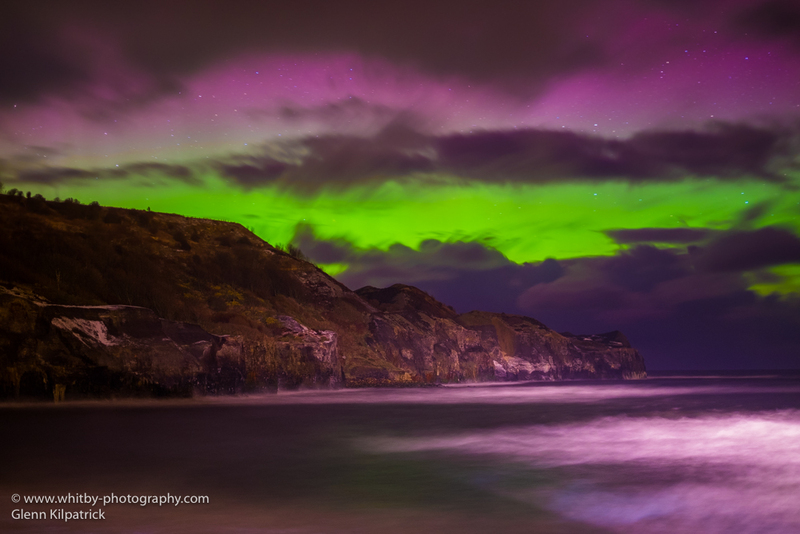 Sunday 6th March 2016 saw the best show of the northern lights I have seen down here for well over a decade. Fully visible and in colour to the naked eye, the only thing spoiling the show was the cloud. I hear those who ventured out early in the evening had faired better. It had been mothering Sunday and I had spent much of the evening with my mum. I arrived home at 10pm and noticed a post from my good friend Chris Dickinson regarding the northern lights. I quickly checked the Aurora Alerts and Aurora Watch Twitter feeds and reports were coming in of a bright aurora in the sky as far south as Northern England. Perfect !!! I had a quick coffee, got well wrapped up and headed out for a long night ahead. I had so many things in my head I wanted to do. Which way to go was my main question. I wanted a photo of the lighthouse at Highlight. Robin Hoods Bay Looking North perhaps, maybe from Ravenscar, then down to Hayburn and Cloughton Wyke. 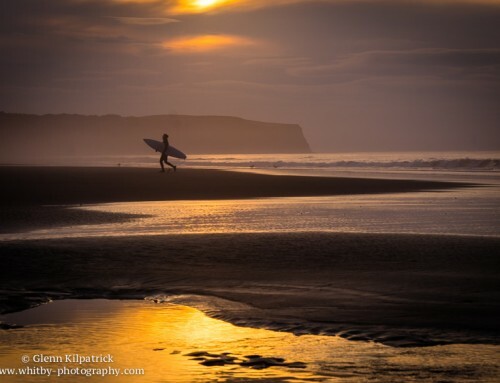 Or should I head north up the coast, Staithes, Runswick, Kettleness ? So may options, so many things to photograph. I decided to head for The Lighthouse at Highlight. I stopped at The Abbey on route, fired off a few test shots but nothing there. When looking for The Aurora the first thing i look for low in the sky to the north are Stars. I looked at my photo of The Abbey and not a star in sight. This meant only one thing. It was cloudy in the northern Sky. I knew we had snow showers forecast between clear interludes. I must only be a matter of time before it cleared, or so I thought. I decided to drive down to St Mary’s Graveyard and survey the situation from there. 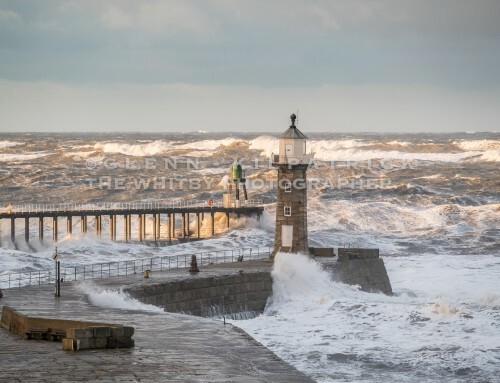 A wider view across the bay would surely highlight clear spells out to see (remember Whitby faces North). On arrival I could see clear patches in the sky. Stars and cloud edges were visible, and so was that tell tale sign of The Aurora, all the cloud edges were lit up and light shone from behind them. Then it started to clear and I Sat On the Abbey headland viewing the Lovely Aurora, visible from everywhere tonight with the naked eye. It was an amazingly beautful one. I got the camera ready pressed the shutter and in came another snow storm. White out. But even the White out was fun. Oh boy do you feel so alive when your on a cliff edge in the middle of the night facing into the full force of mother nature. 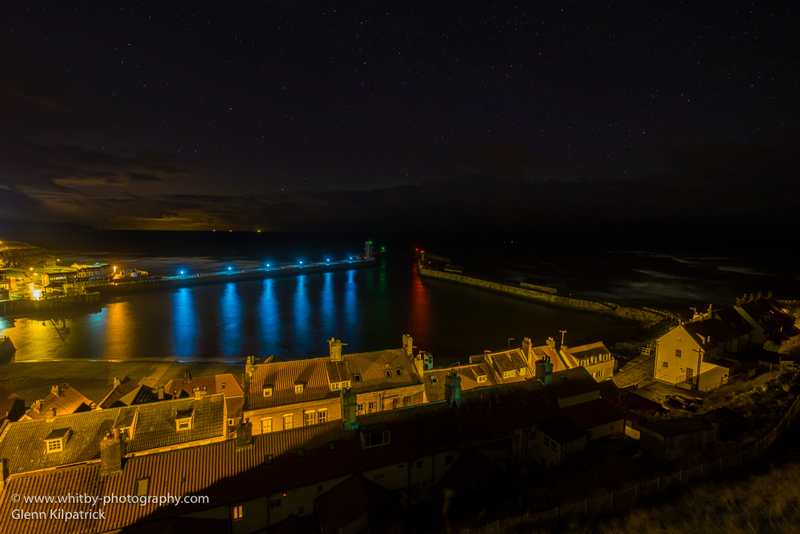 The Northern Lights At Whitby – A Snow Storm Approaches From The North Sea. Sat lovely and quiet, not a sound anywhere and not another soul in sight. One of the Gravestones was reflecting on the church wall and whenever I caught its shadow in my peripheral vision I kept thinking someone was stood watching me. Sat halfway down the cliff looking out to sea, Imagine my surprise when I pressed the shutter for this shot and a voice behind me said ‘Eh Up Glenn”. I jumped out of my skin. 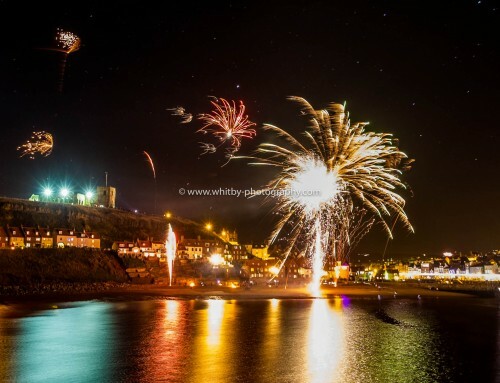 Mike turned up and showed me his photographs from Sandsend earlier in the night. Absolutely amazing. Taken from Just Below Caedmons Cross The Brightness Of the Aurora Can Just Be Seen On The Cloud Edge. What hid behind that cloud was amazing. It came out for us later in the night. We had a quick natter and decided to go shoot some photos together. The first place we tried was The Lighthouse at highlight, but the cloud was still present. Next up was Sandsend. 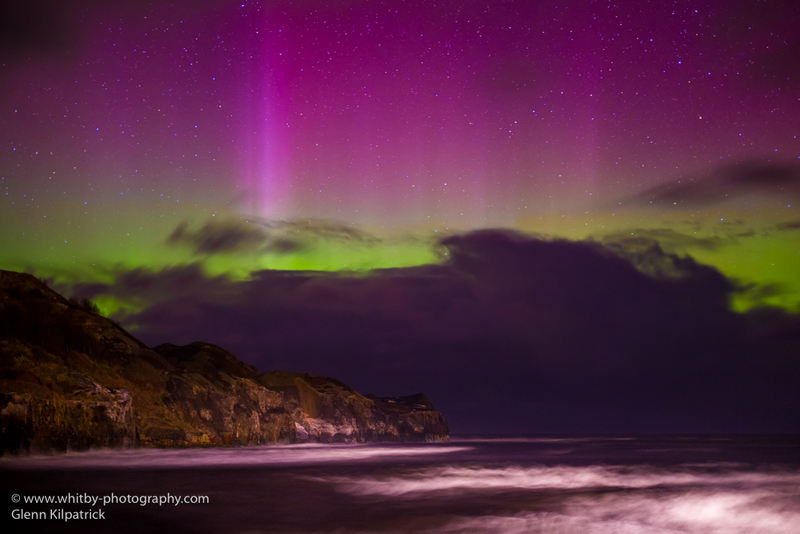 Although difficult to catch because of the cloud, when the Aurora did show through it was an amazing display and visible in colour from Sandsend Car Park. At first it was just patches of light between the clouds, but what followed was simply phenomenal. Sandsend is really very very dark and perhaps the cliffs filter out a lot of the light polution from the teesside area. The cliffs are difficult to see and would make it diffult to focus and understand where we were pointing the camera. On my past visits to Sandsend I had noticed that passing Cars were putting some light on the cliffs, so Mike was persuaded to park the landy on the slipway and point the headlights to the cliff. It brings a whole new meaning to the concept of painting with light, but i think it just about worked ??? 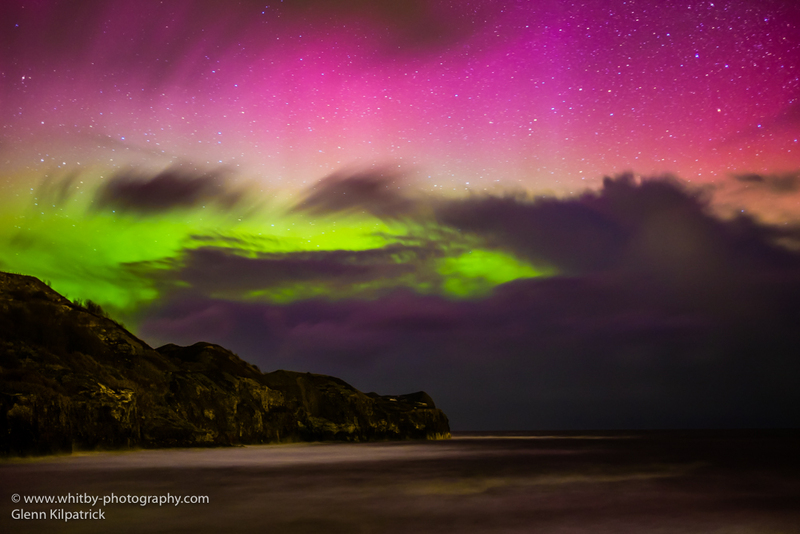 The Auroa Clealry Spiking In the Night Sky High Over Sandsend Cliffs. Natures Very own Lightshow. Simply Awesome. 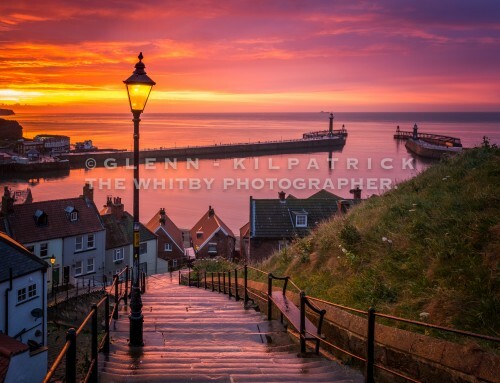 The Northern Lights From Whitby By Glenn Kilpatrick. The image below shows the Exif Data for the Northern Lights Image with the Aurora Spiking (Above). As you can see, I utilised my 35mm prime Lens. The F1.4 setting allows you to get more light onto the sensor in a shorter length of time whilst keeping the ISO relatively low. Keeping the ISO and Shutter speeds down are a way of producing a far better quality in your images. The faster shutter speed stops the movement of the stars from being recorded. Therefore they look like stars and not squidy lines in the sky. 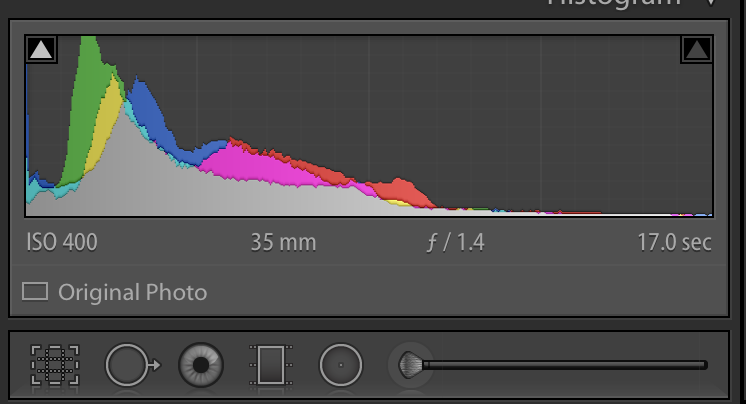 The lower ISO keeps the noise out of your images. Theres nothing worse than capturing an amazing scene at night, then to get home and find it looks like someone emptied sand onto your image. We tried several more places up the coast but the cloud was causing us all sorts of problems. 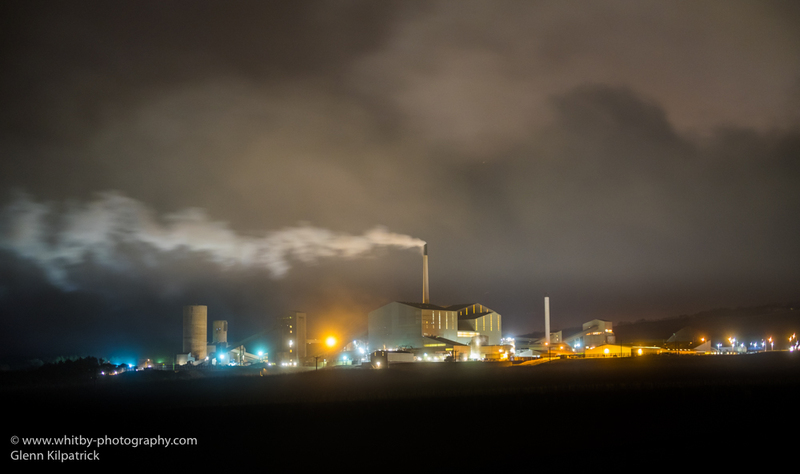 Most of the night was spent dodging heavy snow showers but I did manage the odd decent shot of the lights and some quite pleasant ones of Boulby Mine. Once again many thanks for reading my blog. All the images here are available to purchase. 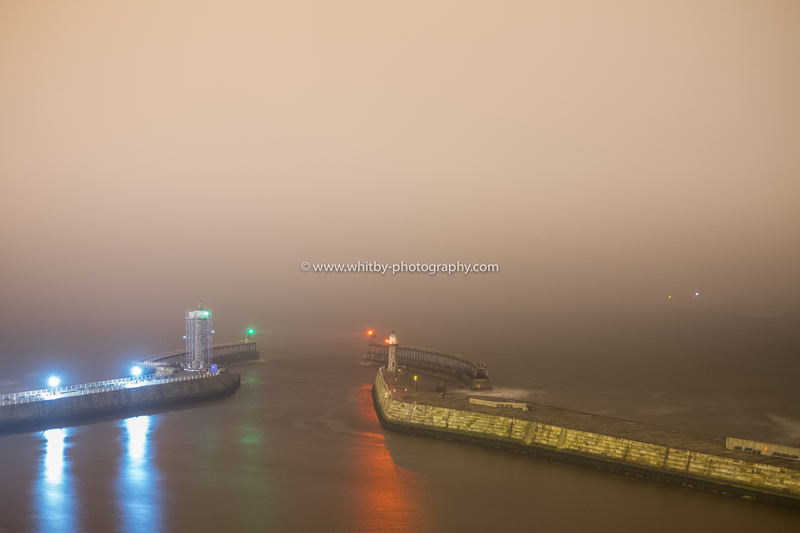 Please email whitbyphotography1@gmail.com for more info. Follow Glenn Kilpatrick on Facebook. Once again well worth a look at your blog Glenn. Colours in your shots are brill (thank God no typos lol). I’m just glad it wasn’t me out there in that weather, but you take care you don’t get the nasties back. Hi Bridget, twas a really lovely evening to be out. I got really well rapped up and managed to stay nice and warm. Seems the Anti Biotics have kicked in. feeling much better today. What an amazing sight, well done yet again. Oh and thank you so much for sharing all your wonderful pics, been so ill in bed for 2 wks but have traveled all over through your eyes. Amazing work, hahaha! kept me sane me thinks. 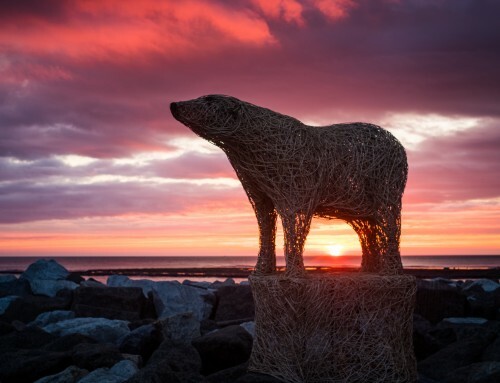 Hi Jane, Many thanks for your feedback, so pleased you are enjoying the photographs. Hope your feeling better soon. Ive been really quite unwell myself for almost am month. A Horrid chest infection. Fantastic shots Glenn..well done! thank you for sharing such amazing shots..always enjoy reading your stories too! Hoping you are on the mend now..sounds as if you have had a pretty rough time..